Back in high school Utz introduced the Crab Chip, a potato chip with Old Bay seasoning (Herr’s now has the partnership). Naturally this Baltimoron had to try. On my first taste I didn’t know what to make of it, now I can’t get enough. I had a flashback to that sensation when I first tasted Dead Rise. While I’m a huge fan of Flying Dog, I really don’t know what to make of this beer. In case you are wondering, yes, you can detect the Old Bay in the finish. A neighbor suggested I could get the same by sprinkling Old Bay into Natty Boh. I disagree. National Premium, in its pale dry glory, is a better comparison. 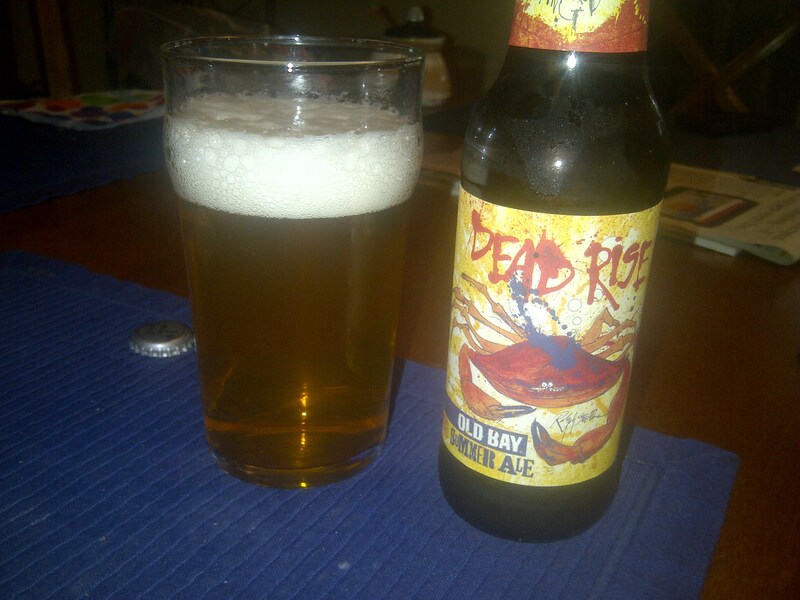 All I know is I live north of Philly and after drinking Dead Rise I am craving a dozen Maryland #1’s. 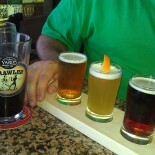 Cudos to Flying Dog for supporting the Bay’s Watermen, I’m hoping this beer will grow on me like the potato chips did. Good for you! You are much braver than I, as this one I would have left on the shelf. I am glad to read your post though, this one will be in my next mix-a-six because of it, many thanks! This entry was posted on June 3, 2015 by mapnj in Uncategorized.